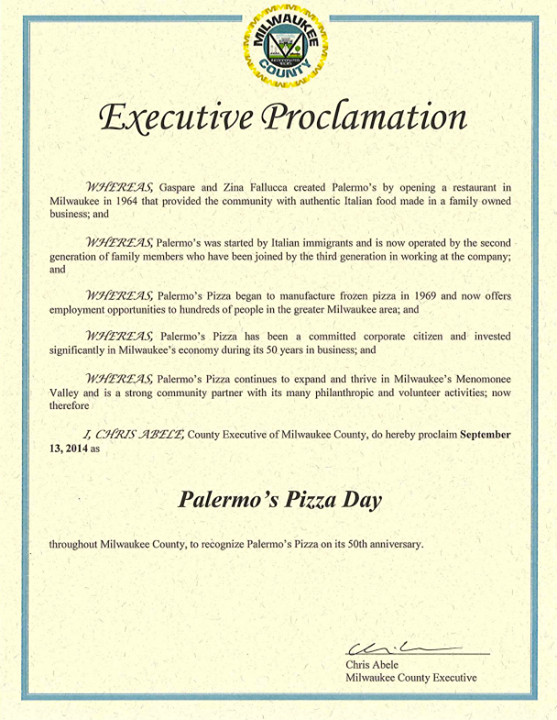 Palermo's Pizza has repeatedly proven themselves to be a very poor corporate citizen in Milwaukee County. In recent history, they have violated national labor laws time and time again, by threatening and retaliating against employees who were trying to unionize. Palermo's Pizza also heavily fined by OSHA for having unsafe work conditions in which not only were workers seriously injured but Palermo's tried to cover up the injuries. It wasn't only the workers that Palermo's endangered with their negligence but the entire community. OSHA also cited Palermo's for unsafe storage of ammonia. This could have led to an explosion like the one that happened at the fertilizer plant in West, Texas in 2013. When one thinks of the fact that Palermo's is a mile away from Miller Park, an explosion could have claimed tens of thousands of lives. On top of their anti-worker attitude and their reckless endangerment of the community, they were also ripping off taxpayers by taking WEDC money - as well as local and federal subsidies - to create jobs. However, there is no evidence that they actually created any jobs. Despite all of this, Milwaukee County's Boss Abele sided with the owners of Palermo's, who just happen to be his personal friends and fellow plutocrats, telling workers that they should be grateful for their underpaid jobs and unsafe work conditions because their bosses are rich like him. Not only is Abele abusing the powers of his office to schmooze up a good friend, but he is also throwing yet another tantrum after having it made explicitly clear to him that he was not going to be allowed to join President Obama at Laborfest 2014. And just think - Abele has aspirations to run for the US Senate in 2016, despite the extremely poor showing of the Abele Party earlier this year. I'm sure this strong anti-worker stance will help that cause a lot. Able is an embarrassment. I voted for a Trojan horse. Is someone going to primary this stealth plutocrat? He and Clarke should be best buddies--they are both fake Democrats.